Mr Blair revealed dialogue from his private meeting with Queen Elizabeth in 1997 in the book which are strangely similar to lines from the Oscar-winning 2006 film starring Helen Mirren and Michael Sheen. Peter Morgan, a Bafta-winning screenwriter, said Mr Blair must have watched the film, blurring his memory of actually meeting the Queen. 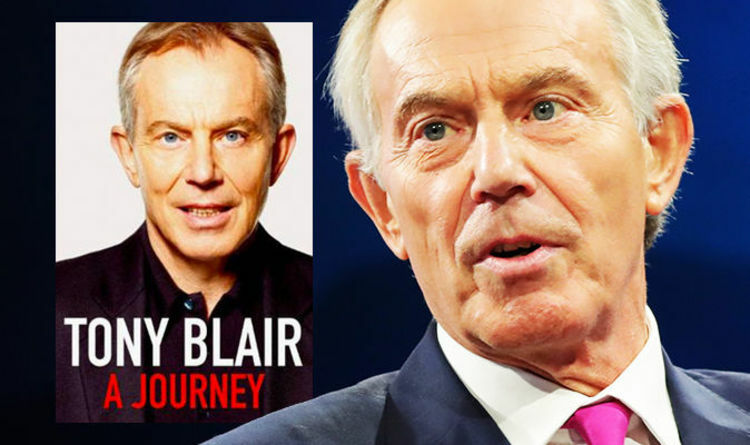 The similarities between the fictional script and Mr Blair’s autobiography, A Journey: My Political Life, for which he was reportedly paid a £4.6 million advance, are striking. Speaking to US radio, Mr Morgan said: “Tony Blair, when referring back to that critical period in the aftermath of Diana’s death used a number of expressions and quotations that seemed to me to be very familiar because they sounded like my dialogue. “And I remember thinking, ‘Well, hang on a minute. That can’t be right’. “Surely he didn’t say the very things that I’ve written that he said? Much of what I write, I’m just guessing. “He said, ‘I then said that’. I was like, ‘Well, you didn’t. At least, I don’t think you did. Well, if you did, what a stroke of luck on my behalf. Mr Blair’s memoir was released in 2011, five years after the release of The Queen. Stephen Frears, who directed The Queen, reportedly laughed when he was informed of the similarities.